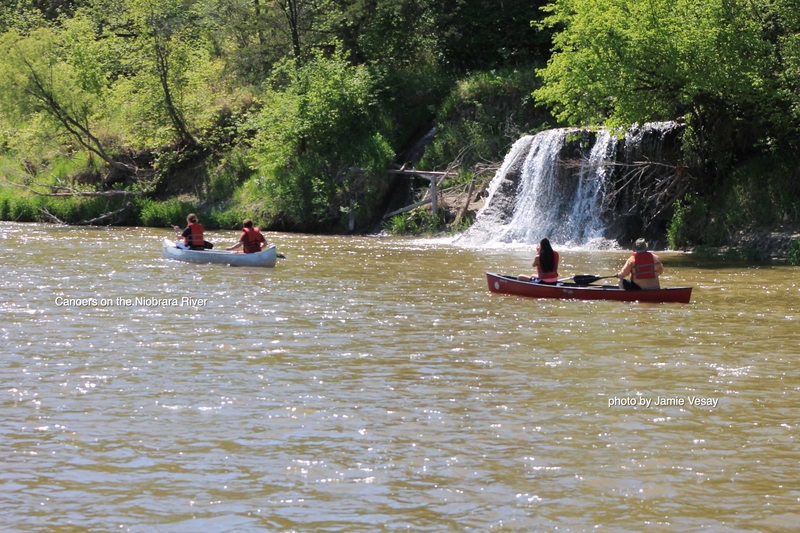 …but many Nebraskans will tell you they go for the canoeing, kayaking, tubing, and camping. 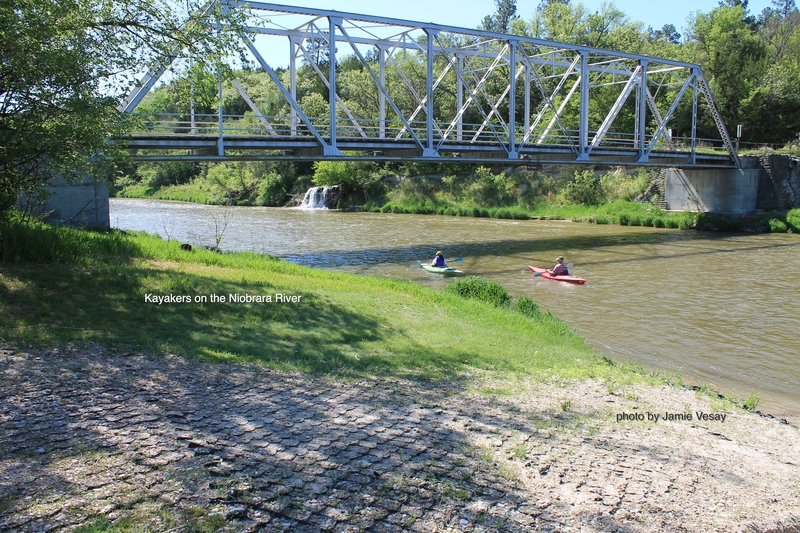 Add the giant overhead canvas of the open sky (which is just as amazing at night – seeing the stars) the surrounding topographical blend of Sandhills and riverside bluffs, pine and cedar trees, wildlife, and the hospitality of the town of Valentine – it is a wonderful destination for visitors. 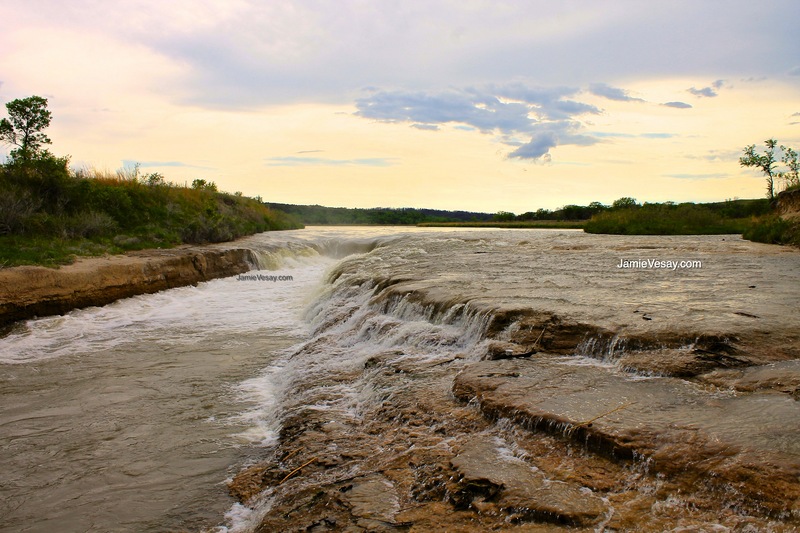 The Niobrara river near Valentine is in north-central Nebraska. 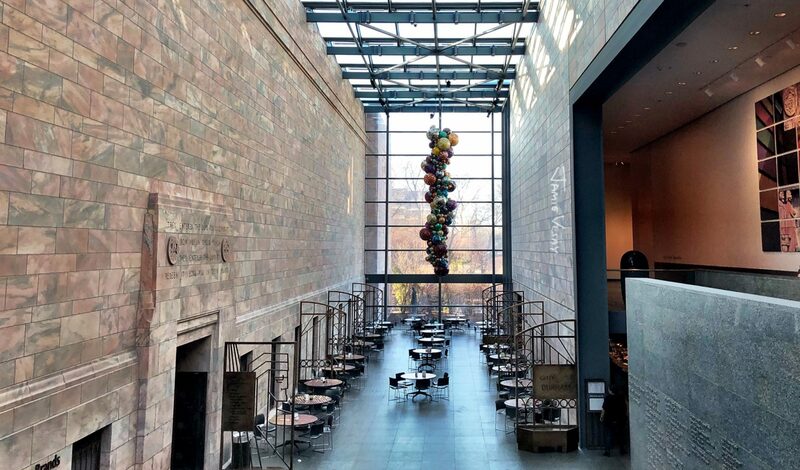 Plan a minimum of three days stay in the area to travel, overnight, and see most of it. Standard amenities such as food, lodging, and basic supplies are in the town of Valentine (unless you opt for a cabin or camping out-of-town). Firstly, know that the river WATER is technically managed by the National Parks Service. If your production is of any scale and scope; this should be a starting point to discuss your project. Be professional and have an open discussion with them. They are receptive to filmmaking but they are managers and protectors of the wild river. There is a National Parks Service office in Valentine. SAFETY should be at the forefront of every decision related to working near the river. Even on your location scouting you should be recognizing the most practical areas for production that are SAFE! For more considerations to safe shooting on water (including rivers and others) consider a review of this blog post about Filming on Water. Most of the LAND surrounding the river is private property. IF you have an inside track on a land owner or if you’re working for an entity with access to the river, you’re more than halfway there. 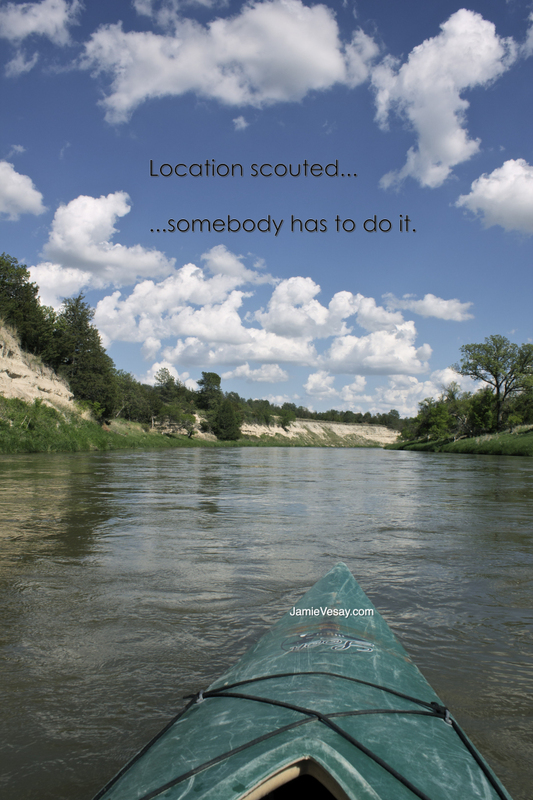 If not, my advice is to partner with an Outfitter that knows and works the river. 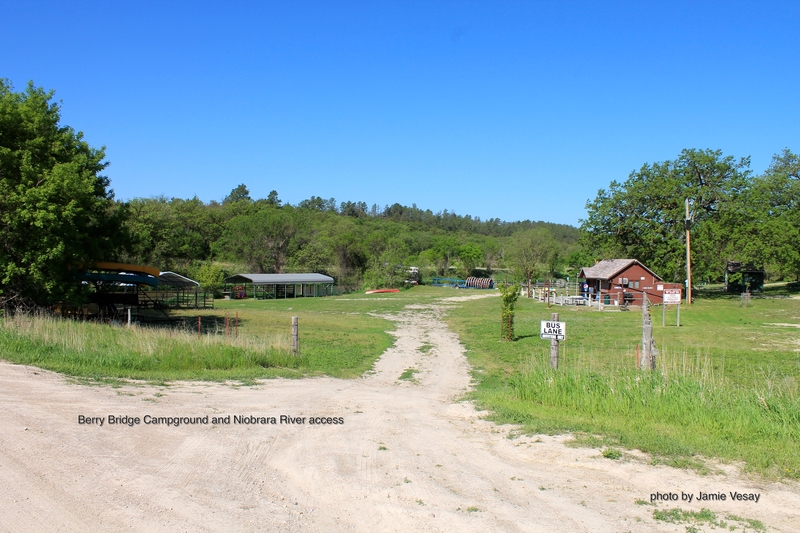 More than likely they own a piece of property that gives you river access and a base-camp to park, put-in, or get out. I recommend Brewer’s Canoers and Berry Bridge Campground. Mary and Randy are natives to the area and are wonderful collaborators. 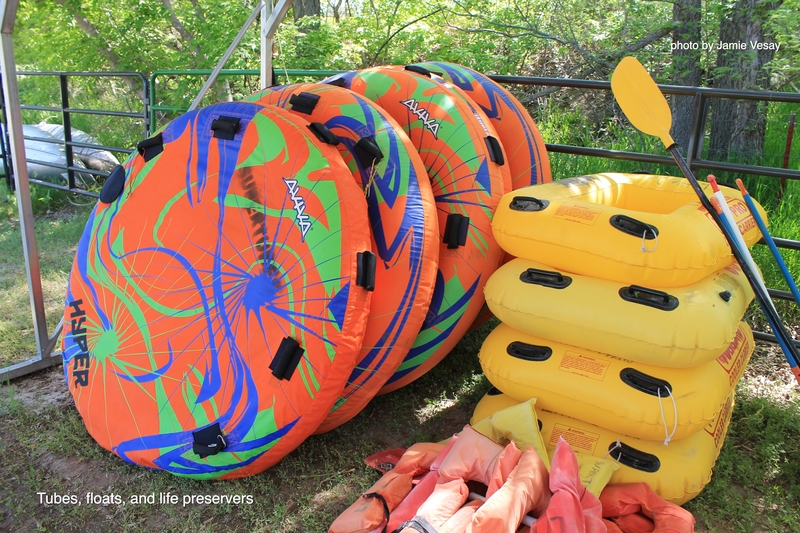 They provide canoes or kayaks and tubes, life-preservers, and many other elements to help your project happen. Check with their schedule though because they are in the river-fun business first and the tourist season can be very busy. Another idea for collaborating with a property as a shooting location is Smith Falls State Park. There is ample parking, modern restrooms, picnic tables and a shelter, and if you’re “roughing it” you can tent-camp at the riverside. The waterfalls of Smith Falls fame are not on the river proper. To see them, it is a hike down a trail, over a bridge, more trail, and up a wood walkway. 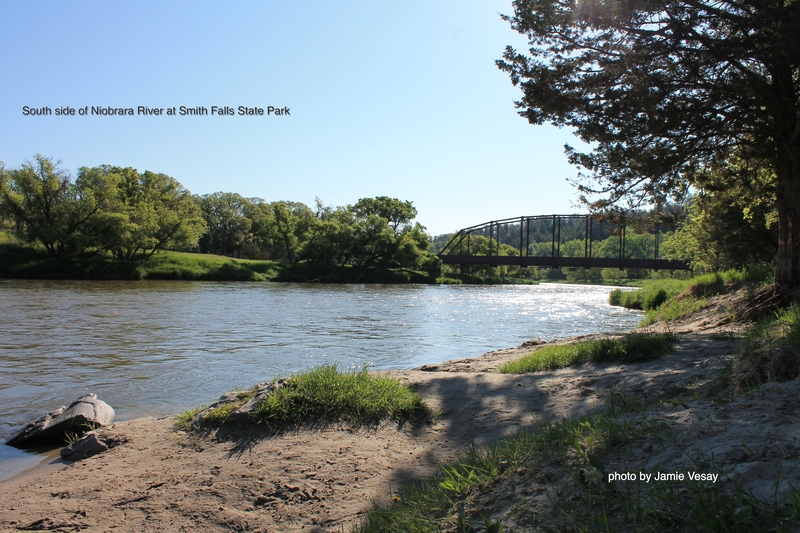 The photo below is from the south side of the river in the state park. 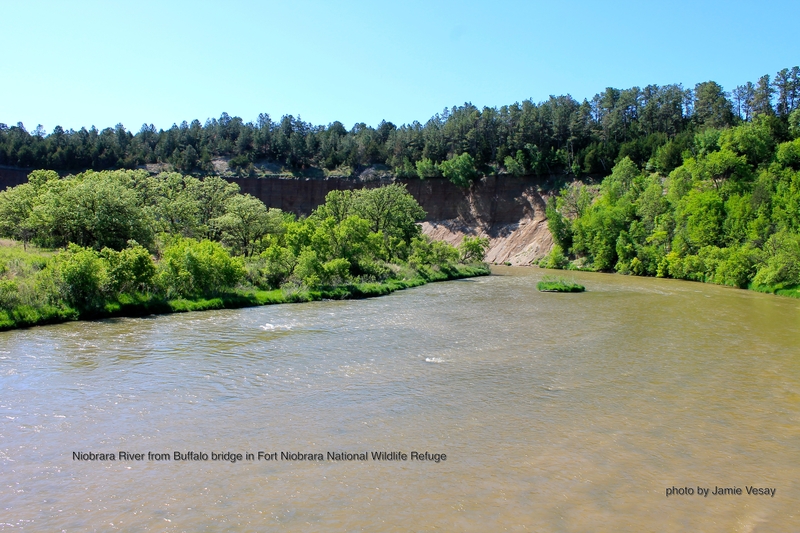 The largest section of land is within the Fort Niobrara National Wildlife Refuge. 19K + acres are managed and permitted by U.S. Fish & Wildlife. Any filming within the Refuge boundaries will need to be approved and permitted. Note: there are NO TUBES permitted in the river within the Refuge property. Kayaks and canoes only. Tubes may enter the river just east of the Refuge property. 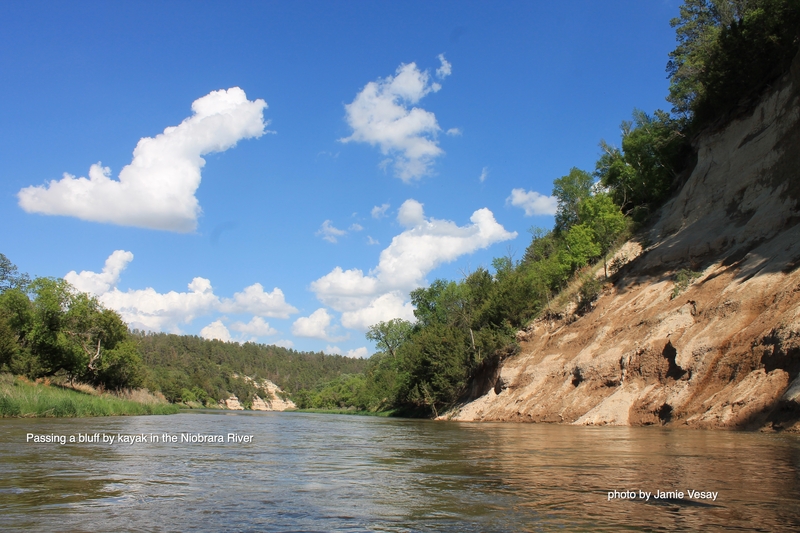 The length of the river between Fort Niobrara National Wildlife Refuge and Norden Chute BEGS TO BE SHOT WITH A DRONE. I’d love to see creative, cinematic shots: Low over the water of course, high past the bluffs, under the bridges, or through the bridges steel girders. I’ll give you this one: start it on the tube or kayak and lift off – or better yet; vice versa. Ideal times of year to work on the river are MAY (within the two weeks prior to Memorial Day ) or FALL (when foliage is changing). Reason for May is less people. The river tourist season gets going in June and summers can be crowded – unless that is what you need to shoot. TRAVEL TIME (with production vehicles) from the town of Valentine to the river is 30+ minutes, depending on where you’re going. Allow more time to get to places further east. Many ROADS in from the main asphalt highways of SR 20 and SR 12 – are DIRT and GRAVEL. The road to Smith Falls State Park is about four miles on gravel. 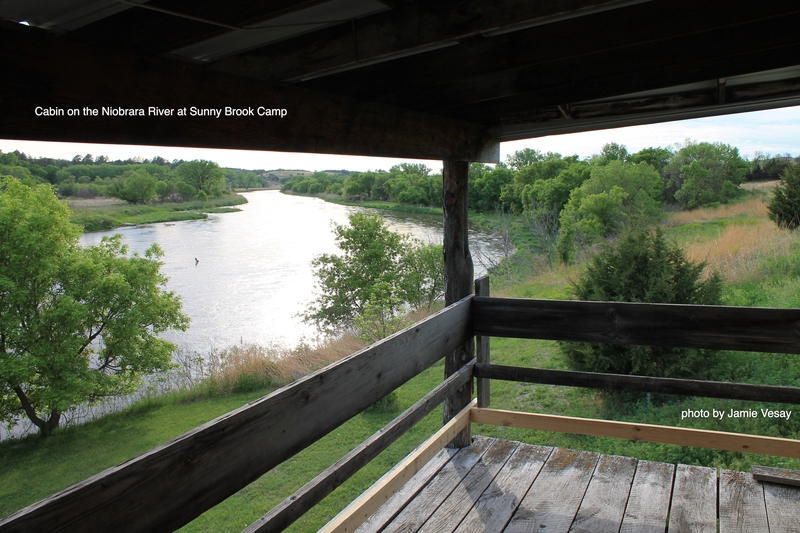 CELL SERVICE near the river is bad to non-existent (as of 2014). Texts worked in most places. Children under the age of 12 in a Tube – MUST wear a LIFE JACKET. Be aware of FIRE DANGER. In dry, hot summer months the risk is HIGH. Note the SUN path and times of sunrise and sunset against the areas of the river you will be working. The bluffs and slight canyons could be in shadow. 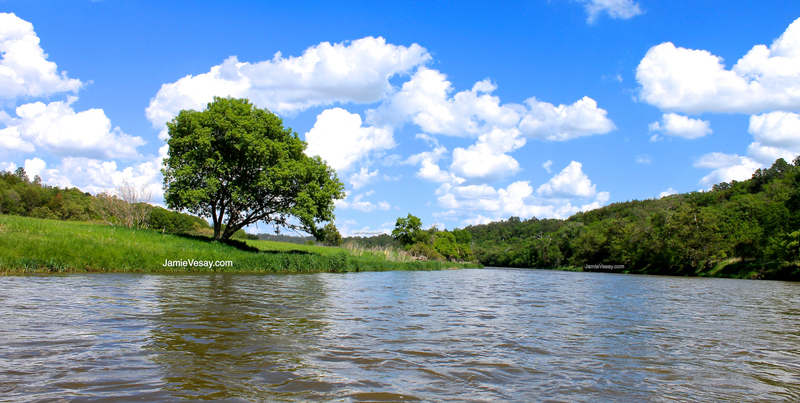 The river DEPTH is as low as ankle-deep to 3 to 5 feet with deeper pockets sprinkled about. The CURRENT can be slow to swift depending on time of year and recent rain. Water CLARITY can be brown from sediment. Conflicting reports of it becoming more clear, slower, and lower as time moves closer to summer – if no large rain. PUT IN points (and exits) have plastic mesh embedded in the ground. Practical for traction but not appealing if you are photographing there. Go earlier in season. Partner with an outfitter. Be safe. Have fun.